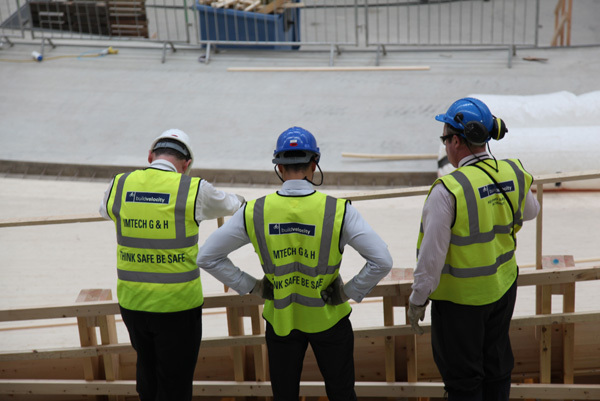 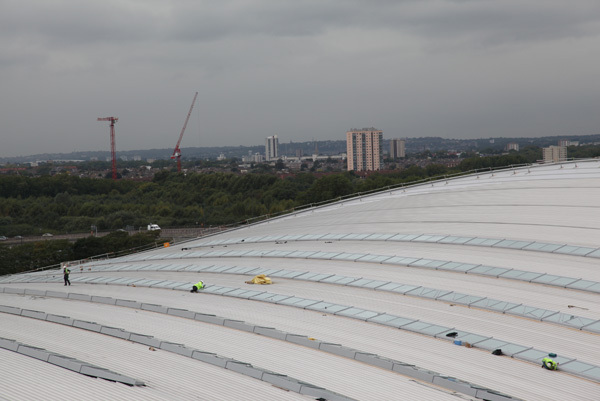 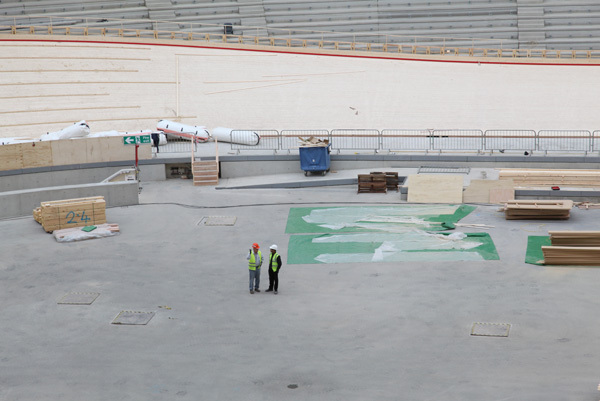 The new velodrome for the 2012 London Olympic Games will be the first venue on the Olympic Park to be completed. 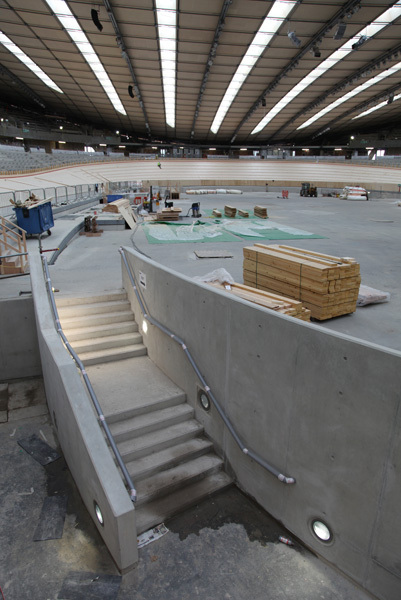 With the cycle track now laid and work on the finishing touches well under way, the Olympic Delivery Authority is expecting to hand over the facility to the London Organising Committee as soon as January 2011. 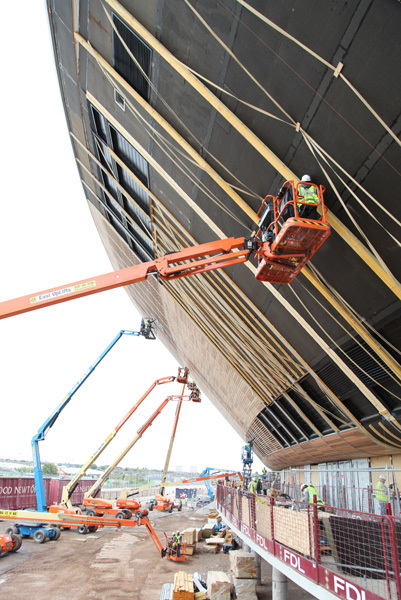 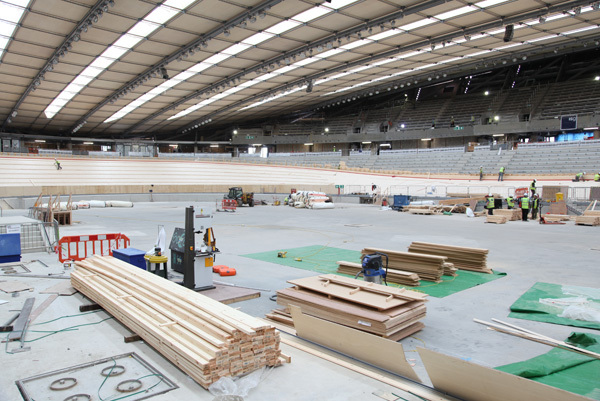 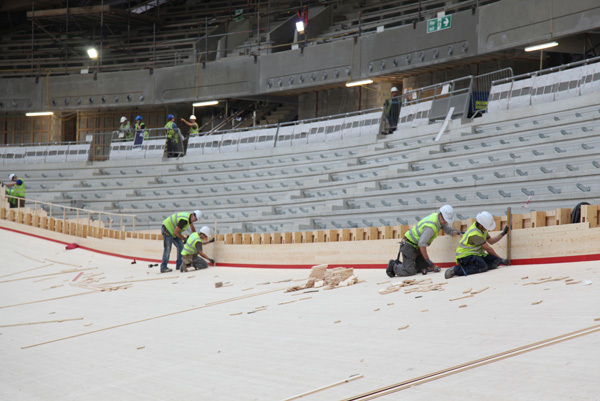 Cycling Weekly paid a visit to the velodrome in late September as carpenters worked on smoothing over the surface of the boards and erecting the outer track fencing. 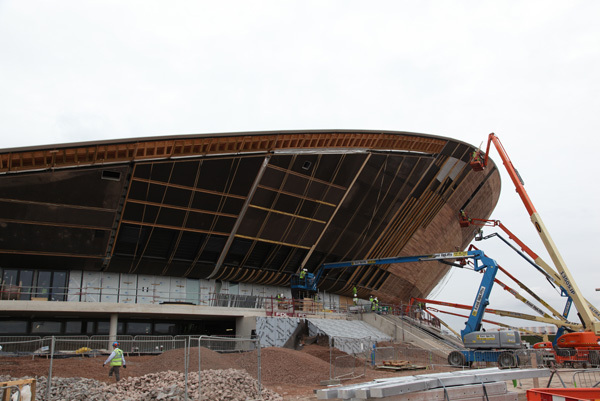 Cedar panelling was being applied to the exterior of the building to give a classy dark wood finish. 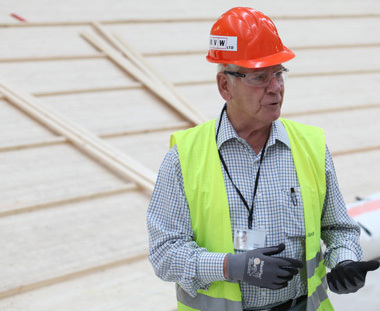 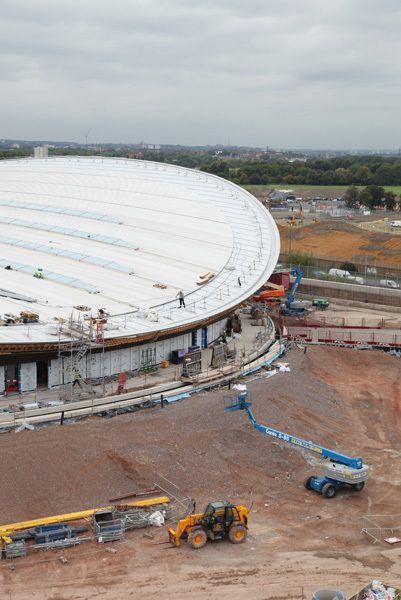 With its ‘Pringle’ roof, smooth curves, vast interior and plentiful use of glass, it’s shaping up to be one of the most impressive velodromes in the world.